I’m now counting down the months until my annual visit to Provence in the south of France in July, to share my passion for essential oils and aromatherapy in skin care. I adore Provence, especially in July when the fragrance of Lavender fills the air. Provence is my ‘happy place’ and there are many things to love about this part of the world. The picturesque villages, vistas of purple lavender fields, the taste of freshly baked croissants, the delicious Provencal produce fresh from the markets and of course, witnessing Lavender distillation! 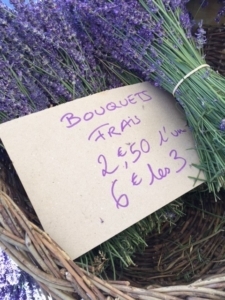 Provencal Lavender is considered the best in the world. A number of my favourite Sodashi products contain this incredibly healing essential oil. These include Clay Cleanser with Lavender, Rejuvenating Face and Neck Moisturiser and Geranium and Lavender Hand Cream. A healing, nourishing and balancing essential oil, Lavender also has a harmonising effect on the nervous system and is considered the most popular and versatile essential oil in aromatherapy. It effectively boosts skin cell renewal making it amazing in skin care. Interestingly Lavender oil is also one of the few essentials oils that can be used in small doses neat on the skin. This makes it especially useful for treating minor wounds. The Latin name for lavender is ‘Lavare’ which means ‘to wash’ due to its aroma that gives the feeling of a cleansing and freshness. 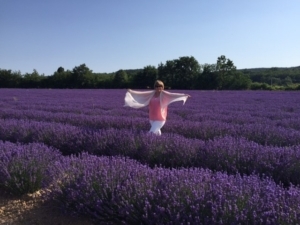 Join me in a picturesque hilltop village in Provence in July to uncover the secrets of aromatherapy, surrounded by glorious fields of lavender in full bloom. I’ll be sharing my knowledge alongside two other eminent and successful aromatherapy experts at a fascinating and informative Aromatherapy Skincare and Wellbeing Retreat.